I am obsessed with purses! 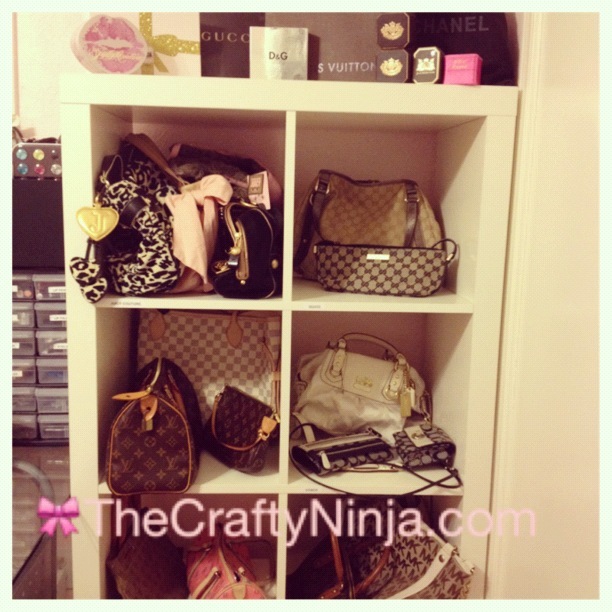 I wanted to display my purses as well as organize them by brand. I purchased the white self from Ikea and used a Dymo LetraTag to print out labels for the purse names. Each purse has its own little home and I can easily see and excess them. Happy Organization!